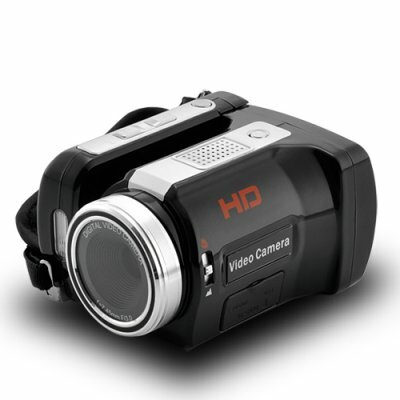 Handheld HD digital video camcorder with an excellent all-round functionality at an affordable wholesale price. Meet all of your video and photo recording needs without breaking the bank. This handheld Hi-Def digital video camera captures 720P video and native still images at 5MP, giving you the superb quality needed for all your special moments. Along with the ultra-portable size and easy-to-use user interface, this camcorder is perfect for graduations, weddings, office parties, celebrations, social occasions and vacations. The extraordinary detail, vibrant colors and clarity that comes with its modern high definition video will definitely enrich your viewing experience. Designed with convenience and usability in mind, this attractive HD camcorder has a 2.4 inch LCD screen and user-friendly button layout, making its powerful features accessible to everyone. With just one hand you can zoom in/out, take pictures, and record video. It even includes flash mode and night shot, allowing full use at night and in complete darkness. For this price... Nice choise. Little bad news. Sound record is not so good. And some MMS card not supported. Good Camcorder for this price. I gave one to my mother and she was so happy with it she got rid of her other video camers. A somple push of the button and you can take still photos, it is so easy to use, and for this price...well, excellent doesn't seem good enough. on 2012-02-19 09:04:32 Muy bueno y barato!!!! Muy buen producto,como todo lo que he comprado de Chinavasion.Hace poco que la tenngo,pero funciona muy bien.Necesitaria un slot mas para otra SD y zomm optico, pero por el precio que tiene esty muy satisfecho.La recomiendo para quienes necesitan filmar y sacar fotos de buena calidad sin gastar mucho.Saludos! !